G'morning! Many times, I have sessions or weddings that slip through the cracks on the blogging schedule, so they get posted a bit out of order haha. 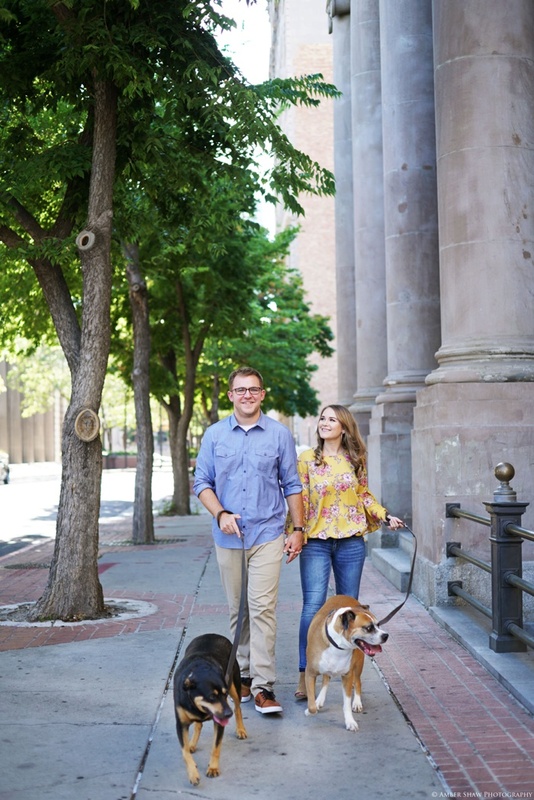 These lovelies adventured with me on literally the hottest day EVER to capture their gorgeous engagement session photos. As did their beautiful, sweet fur children. I'm very sad to say that one of their fur children has since passed since our session. She was a total sweetheart and I'm happy I could meet her and photograph her sweet face! These two were married at Millcreek Inn and it was the most gorgeous wedding! Want to see it? Just click here. Or if you want to see some bridal photos of Paige, you can see that session here. P.S. Paige's hair and makeup was done by the talented Chloe Johnson Makeup.